"This study is a game-changer," Sullivan said. "Figuring out the genetic basis of major depression has been really hard. A huge number of researchers across the world collaborated to make this paper, and we now have a deeper look than ever before into the basis of this awful and impairing human malady. With more work, we should be able to develop tools important for treatment and even prevention of major depression." "We show that we all carry genetic variants for depression, but those with a higher burden are more susceptible," Wray said. "We know that many life experiences also contribute to risk of depression, but identifying the genetic factors opens new doors for research into the biological drivers." "This pioneering study is incredibly important, for two reasons," said Josh Gordon, MD, PHD, Director of the U.S. National Institute of Mental Health. Dr. Gordon was not an author on this paper. "First, it reaffirms the value of large-scale collaborations, particularly in identifying the complex genetics underlying psychiatric illness. Second, it confirms the genetic roots for depression, offering important biological clues that we hope will lead to new and better treatments." 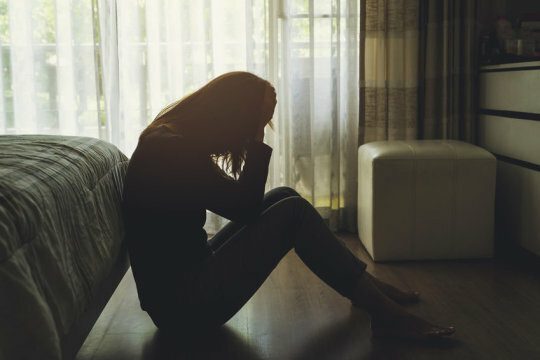 "Major depression represents one of the world&apos;s most serious public health problems," said Steven E. Hyman, MD, former director of the U.S. National Institute of Mental Health who is now Director of the Stanley Center for Psychiatric Research at the Broad Institute of MIT and Harvard. Dr. Hyman was not an author on this paper. "Despite decades of effort there have been, until now, only scant insights into its biological mechanisms. This unfortunate state of affairs has severely impeded treatment development, leaving the many people who suffer from depression with limited options. This landmark study represents a major step toward elucidating the biological underpinnings of depression," Hyman said.